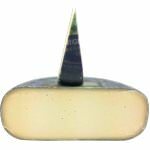 Wyngaard Chevre Affine is a Dutch cheese made from goats milk in a specially selected, small-scale cheese dairy. They work with traditional drainage pots where the curds and whey are naturally separated - this ensures maximum respect for the beneficial components in the cheese, which are important for later development of the taste during the maturing process. 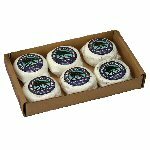 The maturing process of this goat's milk cheese is lengthy and slow (4 months) and takes place in special caves. 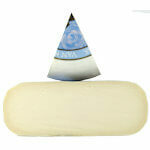 In this way a special gourmet cheese is created: soft, with a full taste, creamy and very accessible. Thanks to its artisan character, color and form, Wyngaard Chevre Affine adds a charming touch to any presentation.